All hail the new king! 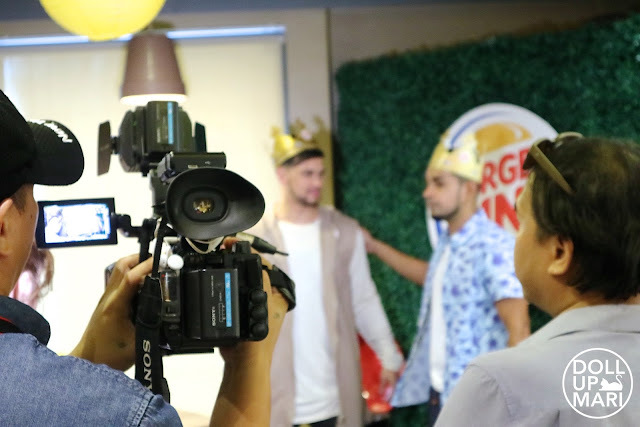 Burger King was pleased to announce the arrival of a new king to feast on their burgers! Billy Crawford is the new king! That and the fact that their four cheese whopper is cheesier than ever. 100% Tasty, 400% Cheesy. 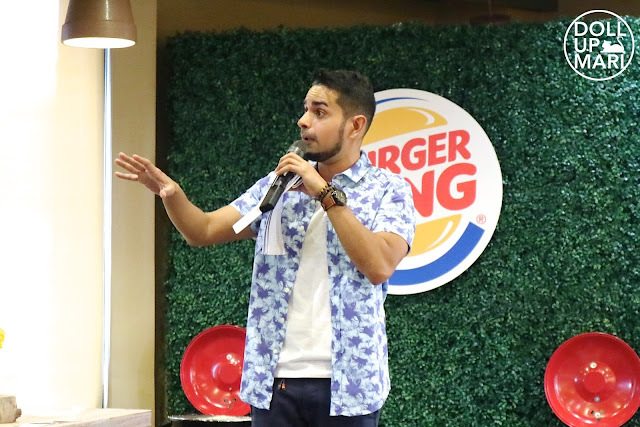 They got Sam YG to host this time. He admits that this is his attempt for a summer attire. I've been seeing Sam more often in weddings as of late, so I guess he's been investing more on suits, too. While waiting for the new king to arrive, we were made to feast with Burger King favorites. 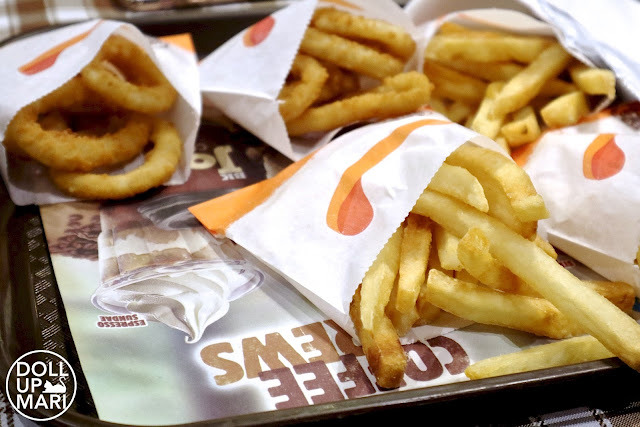 Of course there will always be onion rings. 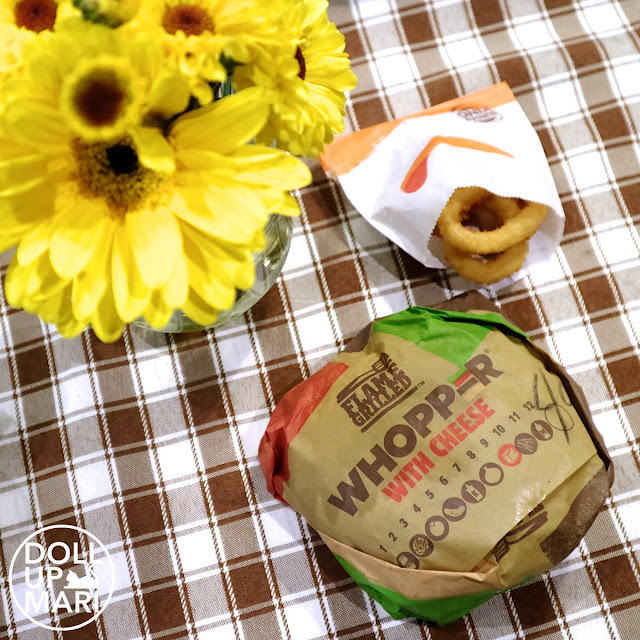 And THIS is how cheesy the four cheese whopper is! I saw the bus ads and thought that the ads were probably too good to be true. 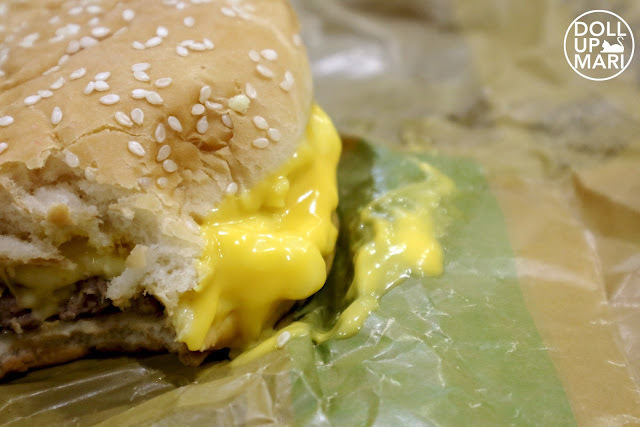 But yes, the actual burgers indeed are drenched with cheese! 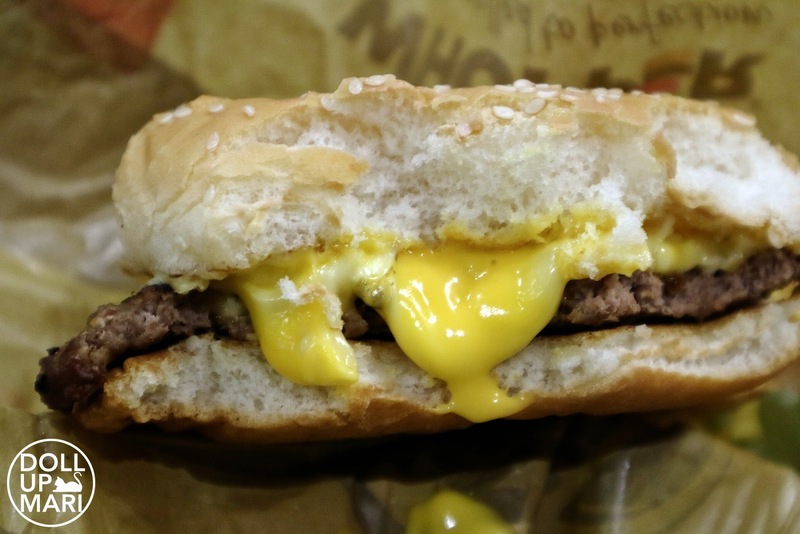 These burgers have Swiss cheese, American cheese, Mozzarella cheese, and Cheese Sauce. When you lift the top bun you can see how gooey the cheeses are. The burger is actually quite big, too. I think this size more or less is 5 inches in diameter. I was not able to eat the whole burger in one sitting because it was just so big. 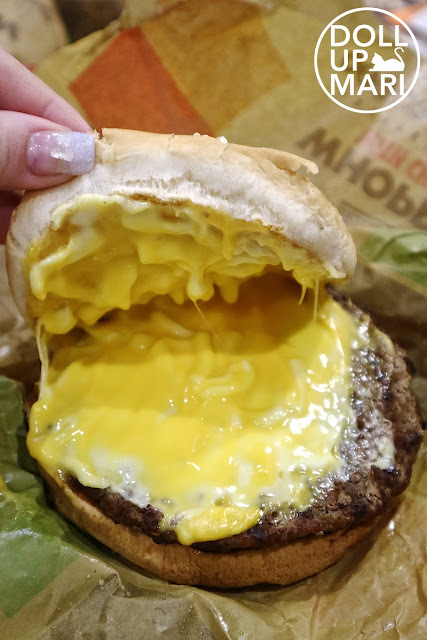 There's so much cheese going on that the cheeses literally drip off of the burger as you take each bite. The patty also tastes very beefy. Yeah I know it sounds so redundant hahaha. But y'all get what I'm saying when a burger patty has such a seasoned taste that you can barely taste the natural taste of beef. Like you can tell there are fillers and extenders and there's just plenty of seasoning to cover that up. Burger King only uses 100% beef patties, which is why while the patties may not be so 'tasty' per se, they taste like the natural taste of beef and not like strong seasoning. And to wash it all down nothing beats a good caramel sundae. They now have espresso based sundaes, too! 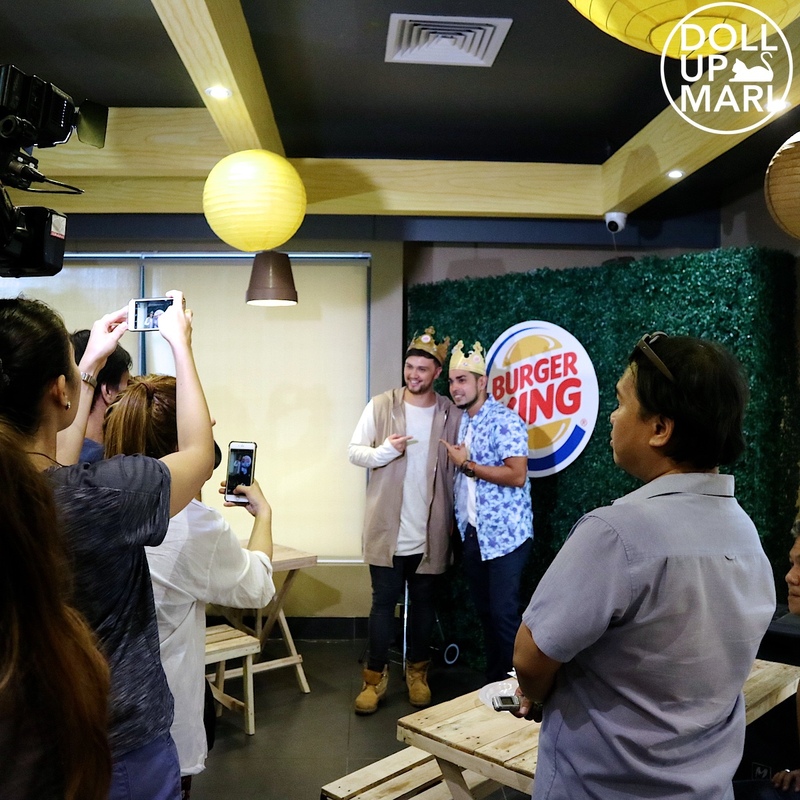 The event was also graced by celebs and influencers. 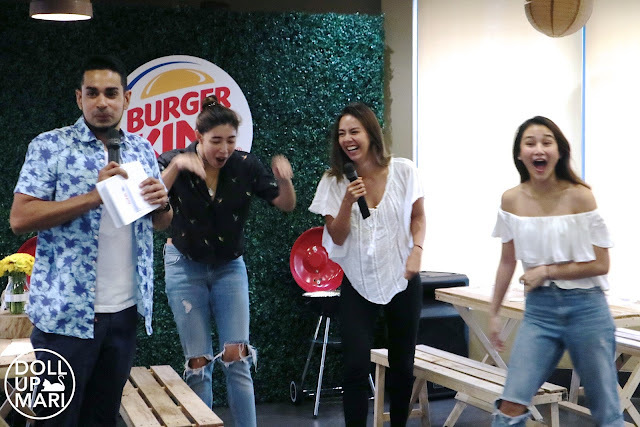 Dani Barretto, Cha Cruz, Pat Sugui and Chienna Filomeno were there. Since this event is about a burger that's 400% cheesy, cheesy pickup lines were not in shortage. 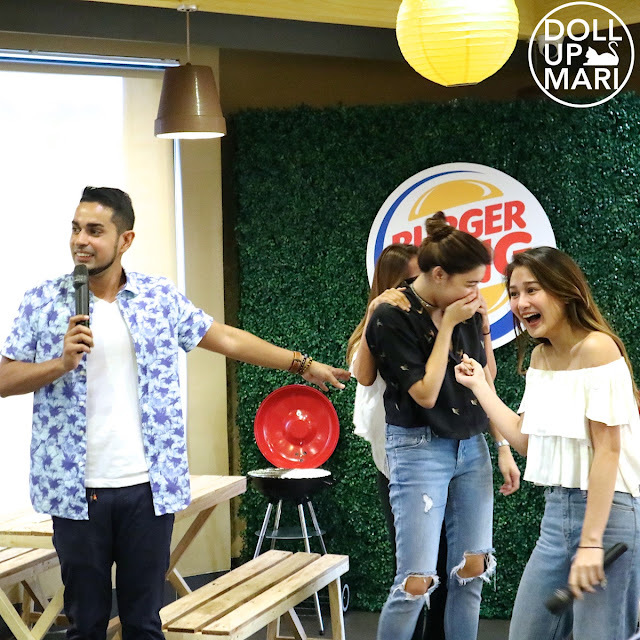 Plenty of times Sam YG had to moderate to keep it wholesome hahaha. The pickup lines often went from cheesy to sleazy real quick hahaha. And finally the new king is here! 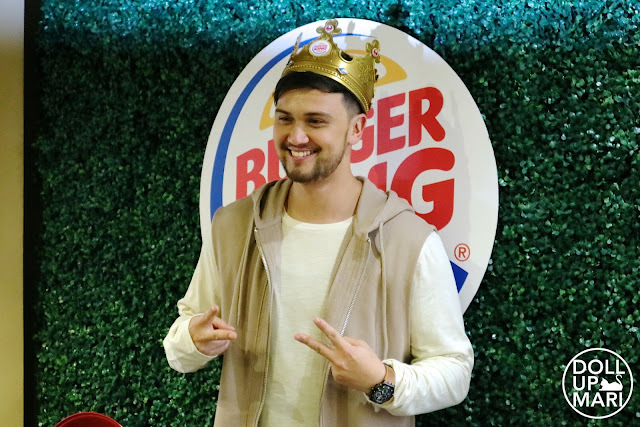 Billy Crawford has been in showbiz for just soo long that we sort of share this connection with him already. When he came it actually felt like a long lost friend who finally came to join the picnic. Despite the press being there and plenty of TV cameras all over the place, the aura was very casual for this event. Billy's top cheesy tip is to recognize that women can never be wrong. No matter what the source of the argument, the woman is never wrong wahahaha. 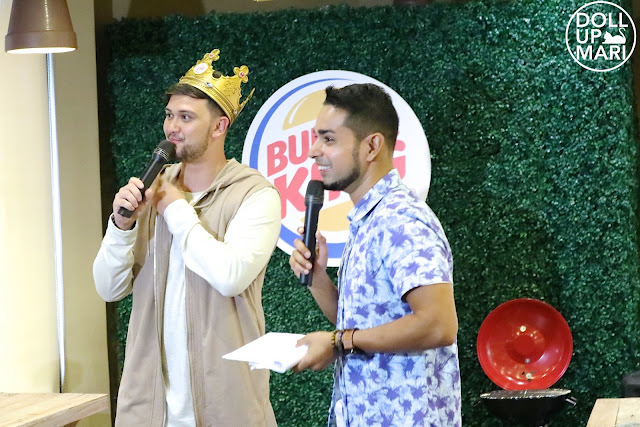 He may be the newest king of Burger King but he goes home to bow down to his Queen Coleen hahaha. The other top cheesy tip is to have pets. He shared that whenever Coleen is upset, seeing their dog Summer or their cat Anya magically makes Coleen forget whatever she was upset about. Sam is now considering pets, too, hahaha. 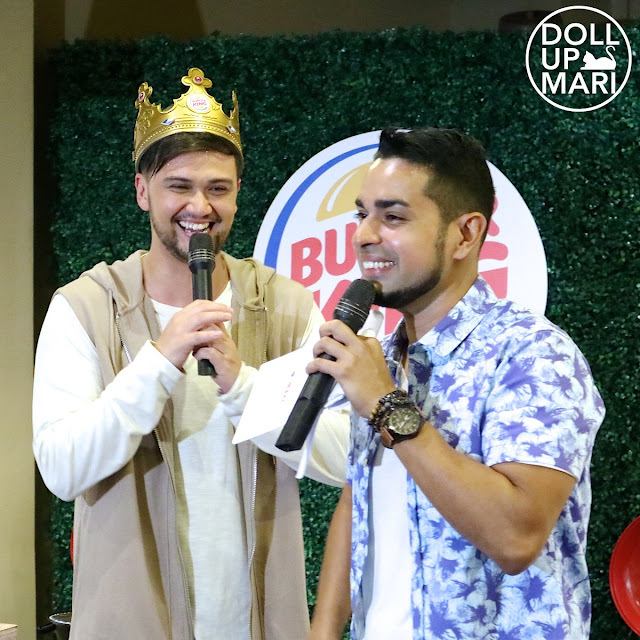 Of course Sam and Billy both had to wear crowns. 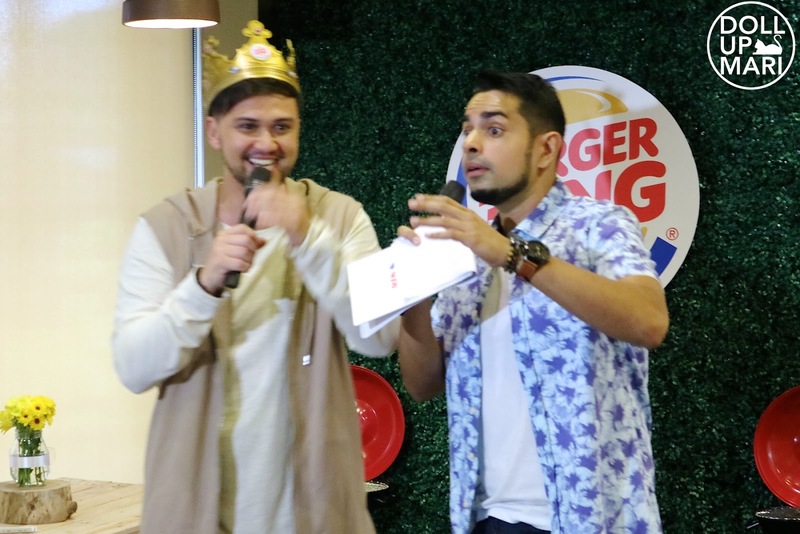 Burger King has this thing called the 'Crown Standard' wherein they vow to produce flame grilled burgers that taste just as good, authentic, and homey, as if the consumer made the burger on their own backyard. I think they chose Billy because he's got such a chill and boy-next-door vibe that his likeness will remind us of homemade food. I think you've seen his new TVC's by now since they started showing them last week. I am so glad that the burgers in his TVC's don't look too far ahead of what the burgers look like in real life. 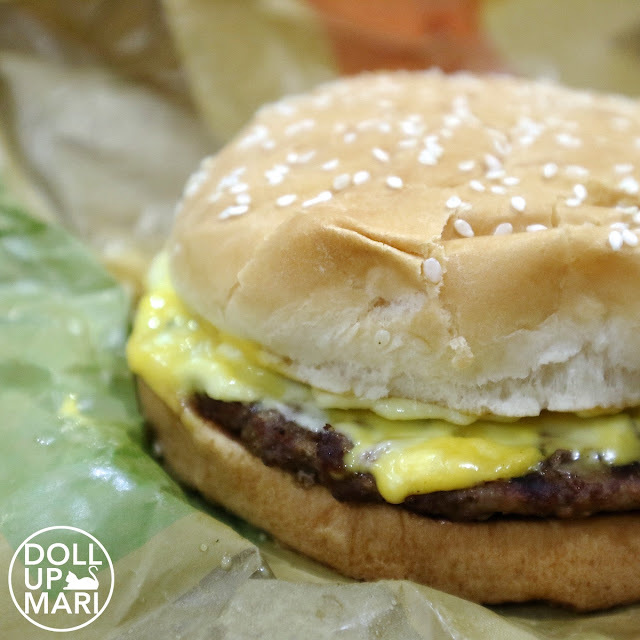 Because there is nothing more frustrating than a TVC burger that looks unrealistically too good. Y'all know what I'm saying. WOAH! I love food event! 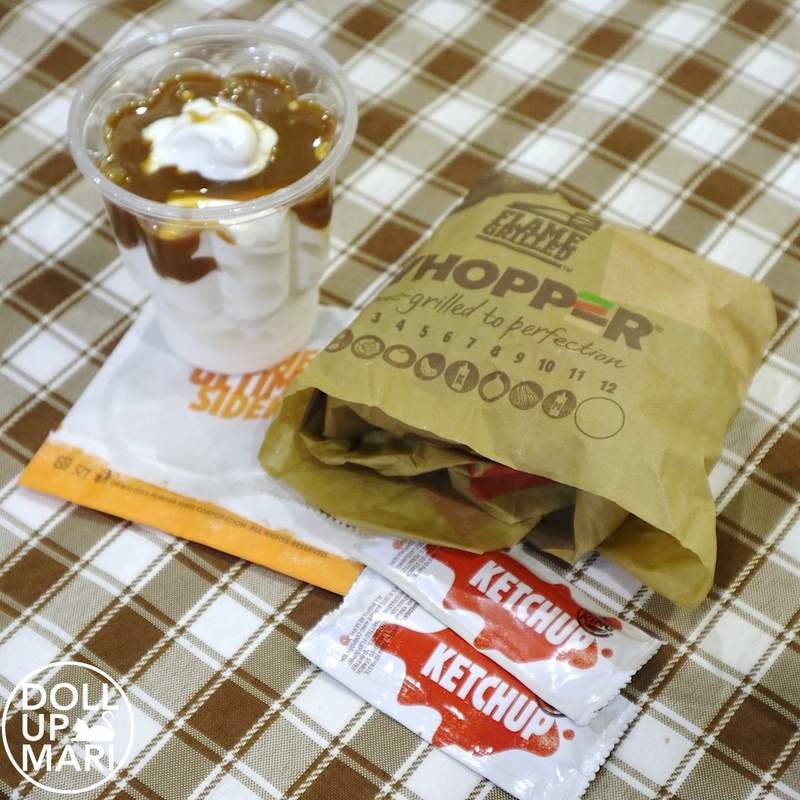 sasarap nung burgers! anlaki at malaman! cheesy tlga! I love Billy Crawford! kilig naman!